Enter Team Code "BaseballCatchers" to earn 8% for charity. An aspiring baseball catcher could do himself no greater favor than acquiring this manual. Whereas the techniques of hitting, pitching, and other baseball positions are well covered by valuable instruction books, the techniques of catching arguably the most difficult and most crucial position of all have never been covered well at all. Brent Mayne s The Art of Catching: The Secrets and Techniques of Baseball s Most Demanding Position changes all that in a single stroke. The book s lucid, concise but comprehensive, and highly readable approach puts at your fingertips the wisdom and skills of a successful pro.Brent Mayne played major league ball for sixteen seasons (1989 2004), most of them with the Kansas City Royals. He earned a reputation for his handling of pitchers, effective plate blocking, and strong arm. Enjoying success both behind the plate and at it, he batted .301 in two consecutive seasons (1999 2000). Mayne caught a no-hitter pitched by Bret Saberhagen in 1991, and he also has the distinction of being the only catcher in the twentieth century to have won a game as a pitcher. A hard-working, consummate pro, Mayne knows his position like the back of his hand and has a gift for communicating his knowledge and experience enthusiastically. The Art of Catching begins by sketching a quick, informative evolution of the position and its all-important glove, along with offering some illuminating personal history. After these preliminaries, Mayne turns his attention to the heart of the matter: the fundamentals of catching. Stressing the absolute importance of posture, he covers a variety of stances and body positions. Important techniques such as glove mechanics, blocking, throwing to bases, back picking, and pitchouts are also covered in detail. Mayne offers concise summaries of proper methods, such as: Pitchout footwork with a right-handed batter is: jab with right foot (before pitcher releases the ball), step left, catch the ball, then right step, left step, throw. By practicing such mechanics until they become second nature, catchers will master their craft. Subsequent chapters of The Art of Catching cover crucial topics such as calling games, working with pitchers, handling pop flies, making plays at the plate (without injuring one s self! ), and drills. For Mayne, it is practice and experience, above all, that distinguish professional-caliber players from wannabes. As he points out: One trait common to all the players at the top is that they ve played a ton of baseball, more baseball in fact than about 99.9 percent of the population. For catchers, Mayne sees the bullpen as the best place for productive drills. Instead of viewing time there as tedious, catchers should use it productively to hone their skills and to assess the strengths and weaknesses of their pitching staff. Mayne s overview of drills does, however, come with some wise cautionary words that, again, place the emphasis on correct mechanics: Practice does not make perfect; practice makes permanent. In other words, if you have poor technique when you practice, that is what you will take out to the game. Readers of this book will learn the right techniques. Each chapter of The Art of Catching concludes with a section of key points for handy reference. In addition, the book features numerous invaluable illustrations and photos, which clearly reinforce the teachings of the text, thought-provoking quotations, and a handy index. 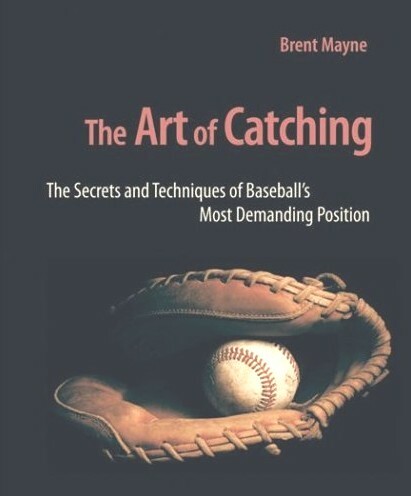 For coaches and those who want to distinguish themselves as baseball catchers, The Art of Catching: The Secrets and Techniques of Baseball s Most Demanding Position is an essential, self-recommending title. For those young, aspiring catchers in the New England area, I invite you to check out the New England Catchers' Camp web site by Clicking-On the following logo.